Public hospitals will admit anyone in need, while private hospitals admit only paying clients. Private hospitals will accept a foreigner's health insurance if international costs are covered by the plan. For common illnesses such as a sore throat, go to a pharmacy where the pharmacist will assist you. Depending on the pharmacy, prescription medicine can be dispensed without a prescription. "Where is the police station?" 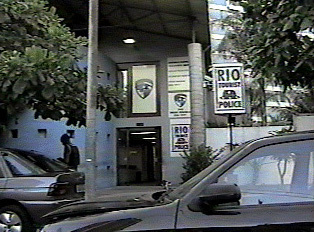 Onde fica a estação policial? "My wallet has been stolen." "My passport has been stolen." "My purse has been stolen."